As we walk through this crazy world and all of its…well… craziness, I cannot help but thank God for all that he has done for me and for His church. I know that my life would be purposeless without Him, and that even though I am a horrible screw up he has still called me to a form of ministry that is overwhelming and humbling all at the same time. With this being said, I feel as though the church has been missing something (especially within the evangelical fold). Constantly we hear about salvation, grace over works righteousness, repentance, the end times, and eternal judgment. Now that is not to say that these issues shouldn’t be addressed, they definitely should be…but all the time? Some pastors harp on these issues almost exclusively, citing the importance of the content and how people don’t hear it “taught correctly” very often. Basically, for me this translates to, “but what if an unbeliever is in the pew, we’re obligated to preach the gospel at that point….right? I’m going to posit two thoughts, explain and then step back and see if others have anything to add. My first thought is generally one of exasperation. For some time (mostly the last 100 years or so) Christians have believed a grievous lie that I think is time to put right. The local gathering of believers that we do every week…this coming together in worship of God and for edification…is not for non believers. What do I mean by this? Surely I am not saying that we put a sign on the door that says, “no unbelievers allowed,” am I? No, if an unbeliever straggled in or is brought by the Lord’s Spirit they are more than welcome. What I am saying …is that Sunday morning is not for evangelism. It is a time of learning, growing, nurturing, and edification. It’s a time for the body of Christ to come together let down their guard and be together in front of their God. Without this time…without this fellowship the church would crumble to dust. This is why we are told not to stop meeting together (Hebrews 10:25). Community is the lifeblood of the church, this is why Christianity done in isolation generally turns into something that isn’t Christianity. It forms and molds into something else…something foul and self-seeking. Many nondenominational churches and Baptist churches look to the first century church as the prime example of how the church should look. If then this is the primary way by which we decide what is correct and incorrect for how we “do” church than we must find where in scripture church leaders were concerned about non believers not understanding the lessons being taught and decided to make their decision on what to preach based upon those people showing up. Before you start looking though…let me save you some time…it isn’t in there. Church leaders were concerned with proper doctrine, with sound teaching, with spiritual formation and maturation. They concerned themselves with the health of the church (people who were currently in Christ) not those outside of it. Now this isn’t to say that they didn’t present the gospel…they did, but this was done outside of fellowship, not within it. Many pastors and church leaders sacrifice the health of their faith community that they have been called to shepherd and feed so that they can tailor their services to those outside of the flock. They have been given grain and told to feed the sheep and instead sullied the grain and fed it to goats. Without a healthy church body, without maturity…evangelism is for naught. People need to be discipled once in the faith…this portion of the equation that is the great commission is perhaps the most commonly ignored concept within all of scripture. We are commissioned to evangelize and disciple, not one over the other. My second thought is, “this again!” As someone who has spent countless hours in the biblical text going over issues like salvation, repentance, judgment and so forth listening to a sermon on the topic can be very…monotonous (especially if your Pastor is less that entertaining in presenting the material.) Now over the years I have learned that if I am hearing something for the upteenmillionth (made up word, just go with it) time that I still don’t have it figured out. God doesn’t make mistakes and he isn’t one to make you sit and listen to something if doesn’t pertain to you in some way. So each time I have listened and for the most part get something from it through prayer and the Holy Spirit. Now this isn’t to gripe about the pastor preaching sermons on the same content over and over and over again. In fact I attend a church currently where this isn’t a problem…but just because it isn’t an issue in my church doesn’t mean that it isn’t an issue within the Church. In light of the above point regarding what Sunday is actually for perhaps it is time to follow the suggestion of the writer of Hebrews and, “…leave the elementary doctrine of Christ and go on to maturity, not laying again a foundation of repentance from dead works and of faith toward God, 2 and of instruction about washings, the laying on of hands, the resurrection of the dead, and eternal judgment,” (6:1-2). This then begs the question, what are the mature topics that the author is writing about? For me, the mature topics cycle back to the lessons and teachings of Jesus. They culminate in the Kingdom of Heaven and what it means to be the foreshadowed invasion of the kingdom of light advancing upon and within the kingdom of darkness. Maturity understands how the Holy Spirit impacts the believer’s life every day and how doctrines like the trinity make God more applicable to our daily lives than we could ever imagine. These are issues that need to be delved deep into…coming to know the God we love intimately through prayer, teaching, discussion, and discipleship which in turn cultivates deep meaningful relationship. This is what drew pagans to Christianity…Christians did not just have a God…they had a God that lived life with them, a God that they could know because he revealed himself to them wanting to have relationship with them. In the ancient world this was unheard of. The gods were self-seeking and jealous not only of other gods but of humans at times as well. The gods were petty, emotional, and small minded…caring only for themselves and their interests. So when people who are called “Christian” begin to live in a way that is unfamiliar and they no longer fear death or worry about the mundane of life…it is something that certainly must have struck those within the city/area where Christians resided. Today, this would also be palpable…if we concerned ourselves with the health of the church. God is alive within His church, He is acting in our world, we do not see it because we are a) blind, and b) immature. It is time we grow up and learn what it means to worship the God of heaven in spirit and in truth. 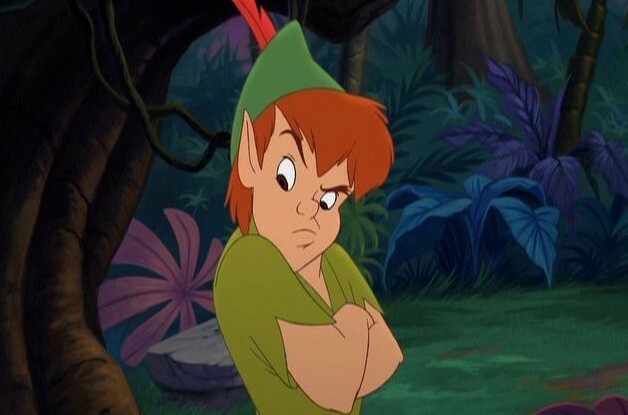 It is amazing to me how many people attempt to pull a “Peter Pan”. It’s time to grow, it’s time to learn, it’s time we understand not just why Jesus died…but why he resurrected. It is within that truth (His resurrection) that we find the mature things of Christ and it is in that direction we must endeavor if we wish to make an impact on the world around us for Jesus. Peace and Blessings and thank you for reading. P.S. Just some things to look forward to. Later this week I will be posting a blog done by my wife speaking to women…even I’m excited to read that one. And next week we will go over the topic of evangelism…and who is responsible for it.